- Based on MAME 0.37b5. - Support for 2240 romsets. - Compatible with GP2X F100 and F200. - Support for up to 4 USB joypads. - Full 64 MB RAM support. - GP2X clock: 66 to 300 MHz. - Video depth: auto, 8 bit and 16 bit. - Video modes: standard, scaled, 4:3, rotated, border and TATE. - Sound options: 11 to 44 KHz (mono and stereo). - Underclock and overclock supported. - Selectable Cyclone and DRZ80 ASM cores. - Compatible with TV-Out (PAL and NTSC). - Only one executable (console based) with a separate frontend to select the games. - Access to the original MAME GUI. - Better performance than the previous port in a lot of games. Simply fantastic. A bit slower than previous versions, but higher game compatibility. Setting the clock to 233-250 helps a lot and most games run almost perfect. Great work Franxis!! Rating: 10/10. 3/14/08 - MAME on the GP2X gets better every time Franxis touches it. It is probably THE MOST supported emulator on the GP2X and it is constantly being worked! This finally - FINALLY - plays Mania Challenge(full-speed without sound) so I couldn't be happier! It's worth the donation I gave and I may do it again in the near future. Thanks a ton! Seems to be best MAME emu on all handheld systems [ including PSP ]. PSP Fanboys turns to red when they'll see it. 10/10 even though I can't get video on Star Castle, every other game I tried was amazing!!! Keep up the good work! Awesome Emulator! I noticed a little glitch. If I add ANYTHING, anywhere on my SD card, it stops recording my high scores. I can get my high scores back by reinstalling the files overtop of my current install. I have this problem with my 100 and 200 model. +++ R Type, Parodius, St Dragon. --- A few roms which worked well in MAME 5.1 now run poorly. (Toki). Midnight Resistance and Ikari Warriors both used the shoulder buttons for the gun revolve and now probably require configs instead of being pick up and play. I miss pressing L+R to scale the screen, unless you have played the game a lot, you don't know what it will look like till you boot it. I keep this and MAME 5.1 in the same directory and just use the appropriate program that will run that game the best. The mame emulator on gp2x had better compatibility than psp, now the new version is even better it's unstoppable to play great games, i congratulate the author for his great work. Had Mame4All up and running on my F200 within 5 minutes of it coming out of the box, and I love it! Only thing, I can't find a way back to the Mame game selector after starting a game. Very Good work!!! 2240 games!!!!! Oct24-08: Excellent work. 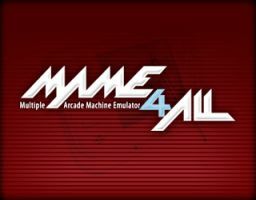 I never got into MAME before, but this app is simple and easy to use (yet with lots of options). Very nice, a must-have for the GP2X! HELP! "ERROR: No avaible games" ???? i copyed some in the "ROMS" dir...Thanx for your help! I'm confused. I am trying to load ?Mame for all onto the pc to get onto the gp2x Wiz. The file is not a .zip file. Is there something that I am doing wrong? Is there by chance a place to go for people who really dont know how to deal with the programming issues of it? How do i change the processor speed from 200 to 300?